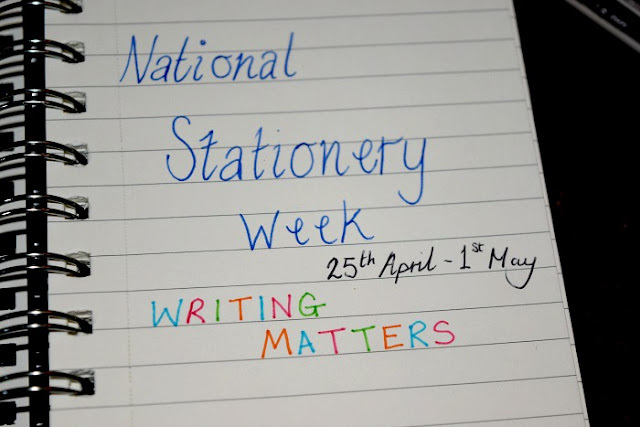 With National Stationery week coming up on the 25th April- 1st May, I was sent a bundle of stationery to celebrate the occasion. 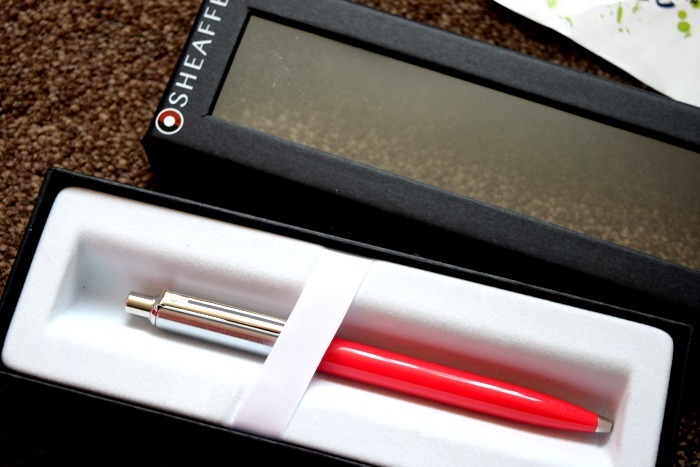 This made me very excited as I am a big stationery fan. 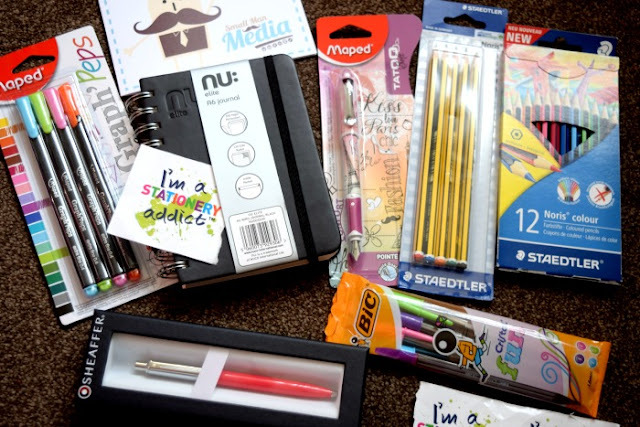 It may sound silly to get excited over a few pens and notebooks but that is why I am going to tell you why writing matters to me. You would probably think that, being a blogger, I write a lot online and spend my life using my keyboard. In reality, I probably do more writing down in notebooks than I do on my laptop. For me writing is a release. 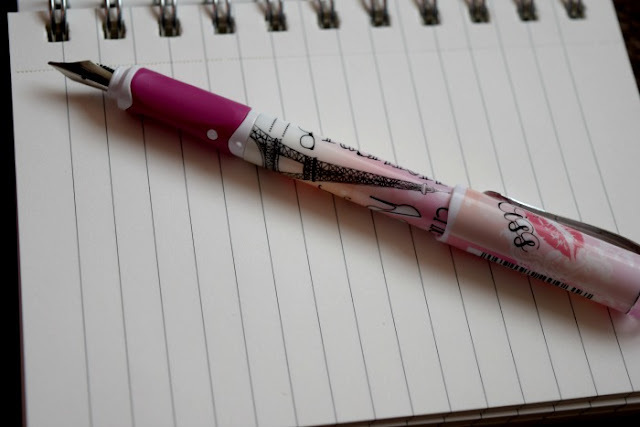 No matter what I am writing about, whether it is my feelings when I am having a bad day with depression, drafting blog posts or simply writing a shopping list. I love to put pen to paper. I love organisation and write lists for everything. I also go through stages where I like to draw and colour, so I have a nice collection of pencil crayons, coloured pens and colouring books for when I need to relax and clear my mind. I have also recently started studying from home. I have always had an interest in Psychology starting in Sixth Form when I started studying it, the human mind fascinates me. I am really enjoying my studies and find that taking notes and going through my handwritten notes teaches me so much more than reading online. So I am using many of these items right now to further my education and teach myself things that will hopefully help me get the career I want when all of my kids are at school. What makes writing even more enjoyable is shopping for new writing materials. Different notepads for every mood, coloured pens, fountain pens, novelty items that make you smile. I will showcase some of the items featured over on Twitter/Instagram during National Stationery Week! Now I would love to know, What makes writing matter to you?